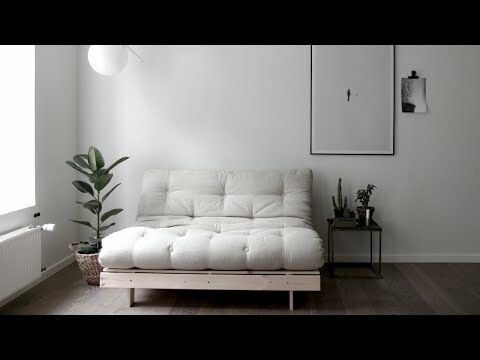 Roots 140 cm by Karup is one of the simplest and at the same time most flexible pieces of furniture by the manufacturer. It convinces both with its function and its appearance. 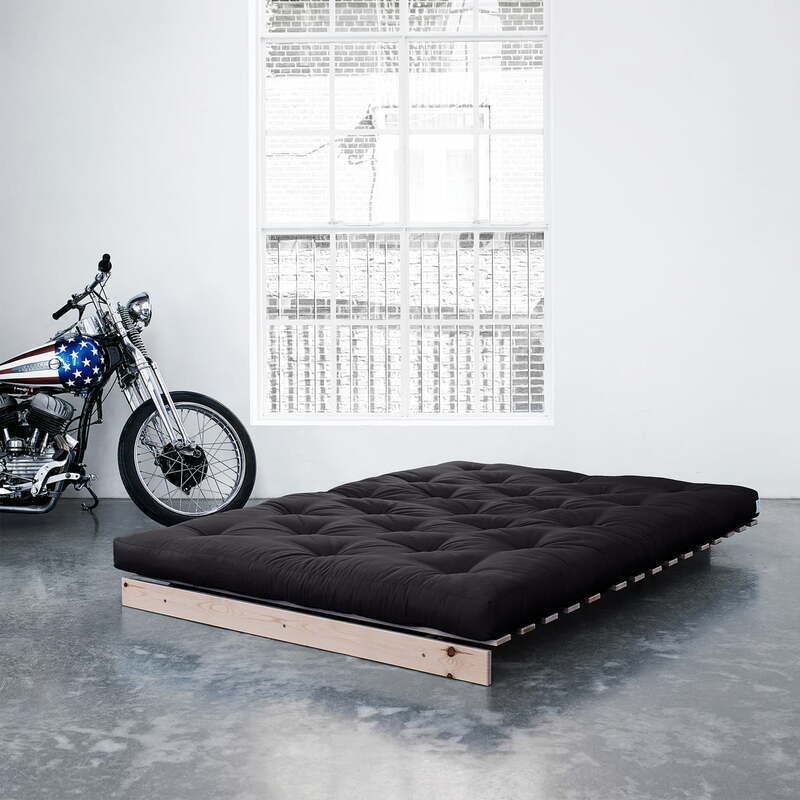 Unfolded, Roots is a 140 cm wide bed with a low base and a futon mattress. 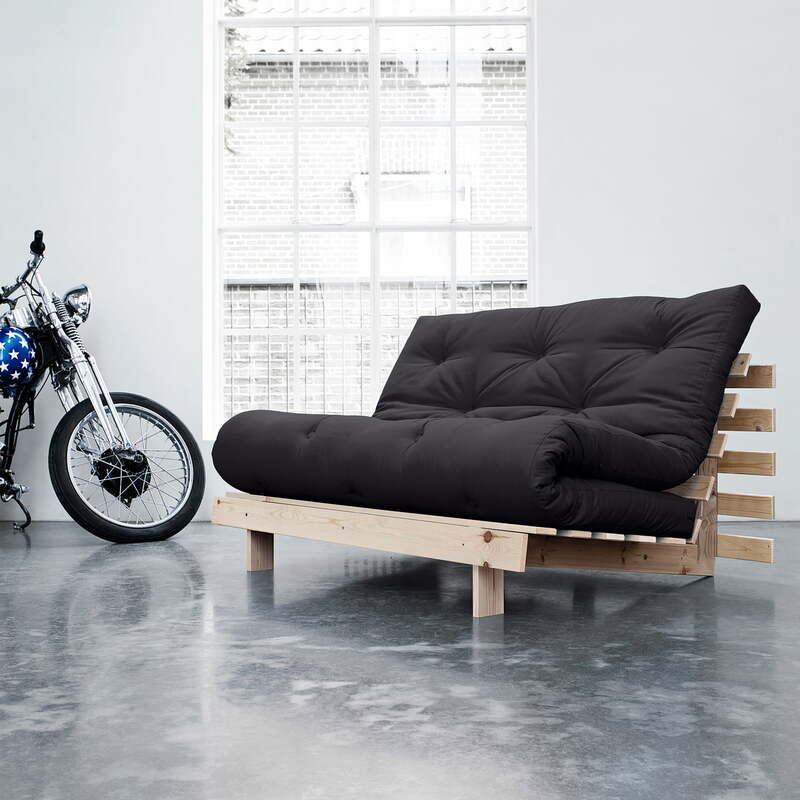 If you fold the headboard upwards, you get a large lounge area with a backrest. 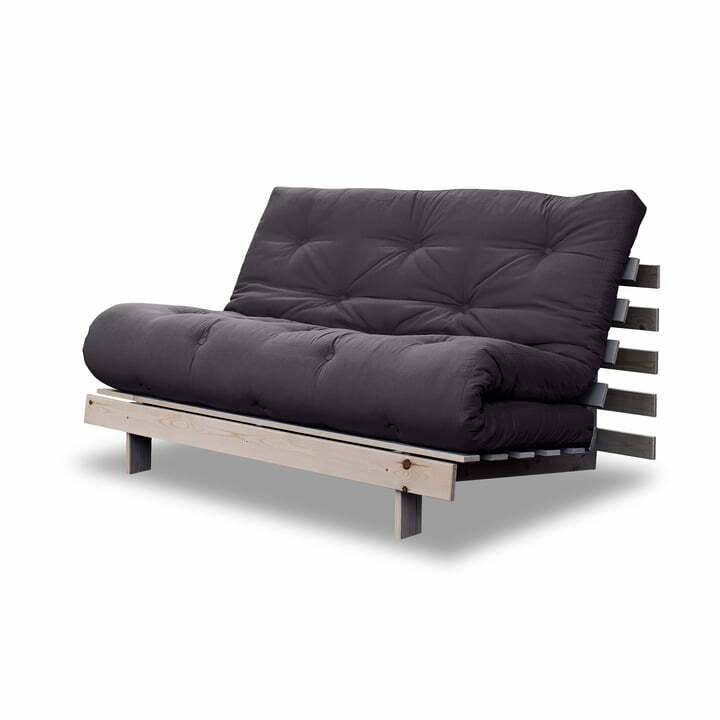 If the rest is folded together, you get a comfortable 2-seater, that looks nothing like a conventional sofa. The frame of Roots 140 cm is made of FSC certified pine, that can be varnished in different colors. 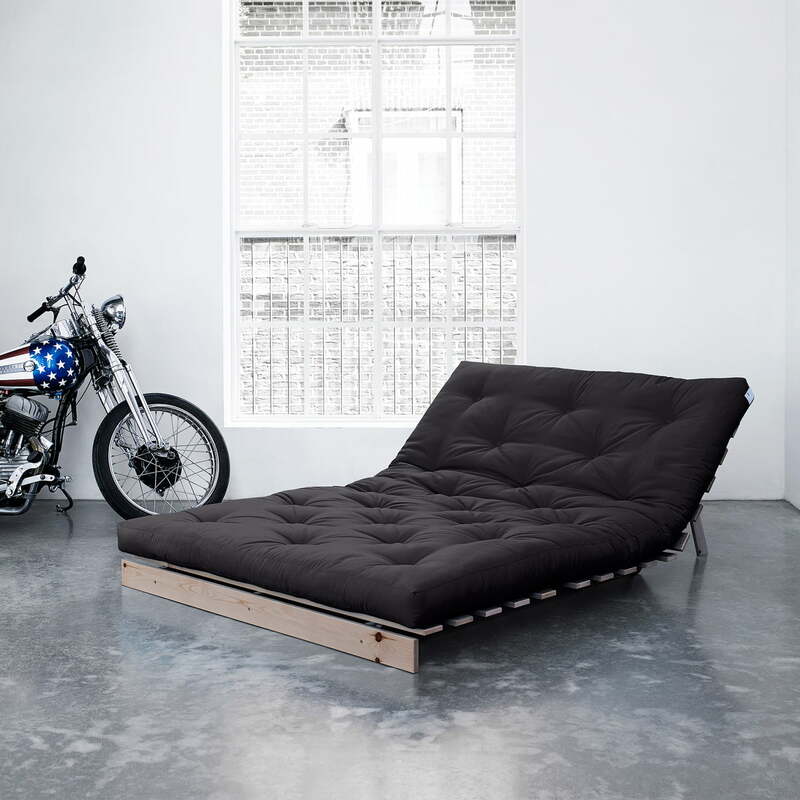 A basic futon mattress rests on the frame. 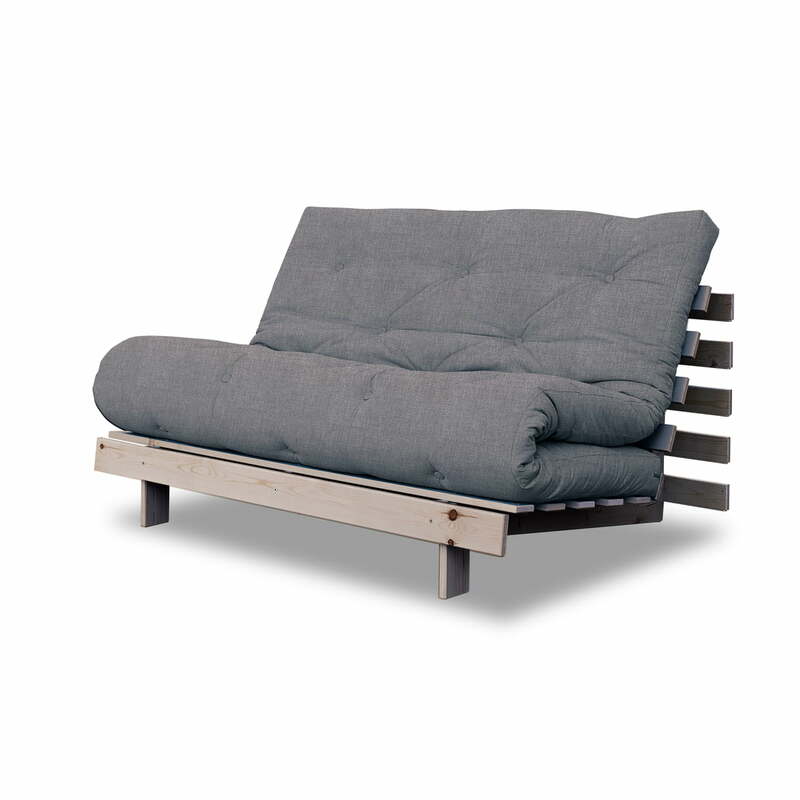 The filling of the futon consists of 4 layers of cotton and a 4 cm thick foam core. The fabric, which is available in a variety of beautiful colors is made from polyester and cotton. Roots is also available in a 90 cm version. You will find the FSC certification of the manufacturer Karup under “additional information”. Roots by Karup is one of the simplest and at the same time most flexible pieces of furniture by the manufacturer. It convinces both with its function and its appearance.